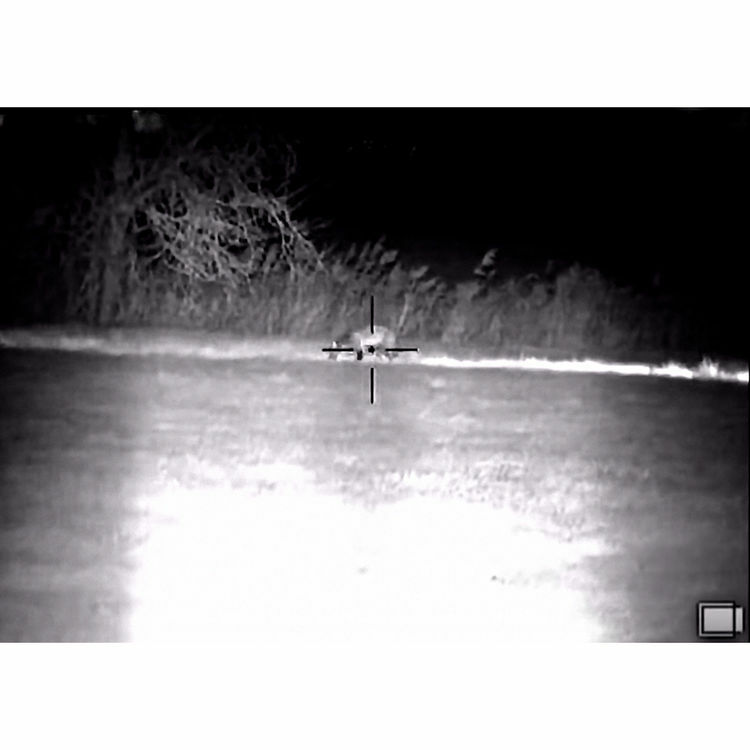 With the remote-controlled Drone Pro 15x Digital Night Vision Riflescope from Armasight you can gain a tactical advantage in long-range and low-light target acquisitions. 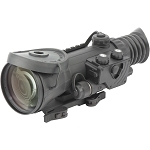 Immune to bright light, this device features a digital 976x582 CCD sensor and an 800x600 AMOLED SVGA 060 display and allows you to obtain detailed images during both the day and night. 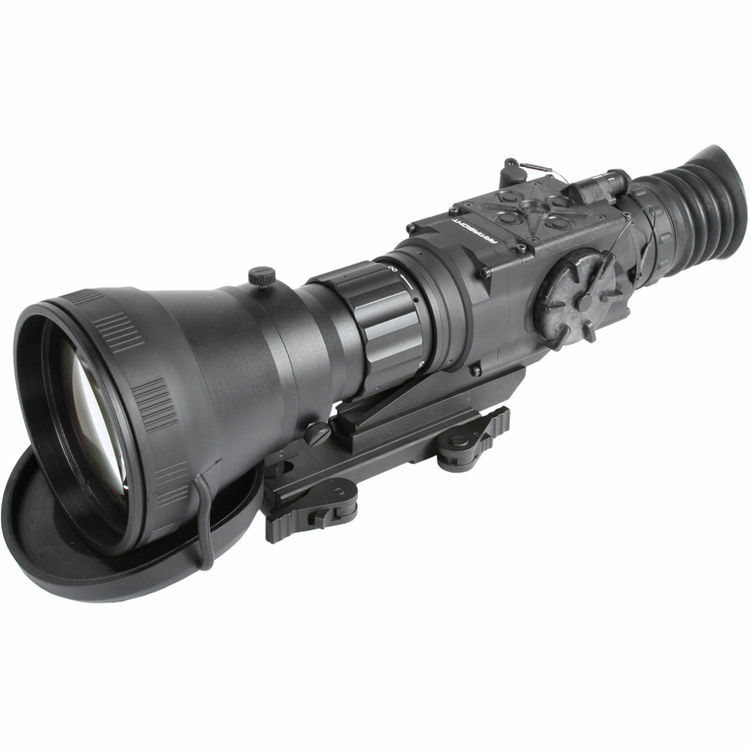 For operation in total darkness, the device is equipped with an 850nm infrared illuminator with variable output. The 145mm, f/1.8 lens system has a wide aperture that is ideal for very low-light conditions and long ranges. The eyepiece has a diopter adjustment for fine-tuning image sharpness and a wide rubber eyecup to allow you to get a comfortable fit between the eyepiece and the orbit of your eye. The built-in AMOLED SVGA 060 display features 800x600 pixel resolution and has eight discrete brightness settings. For documenting your observations or operations, the scope is capable of relaying videos out to a video recorder or screen through a video-out port in a PAL format. You can also use an optional digital recorder to save images. 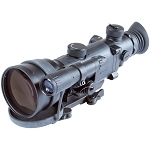 To enhance versatility, this device also features a wireless remote control, 3-second start-up, digital windage and elevation compensation, seven black or white digital reticle patterns, battery indicator, and a status indicator. 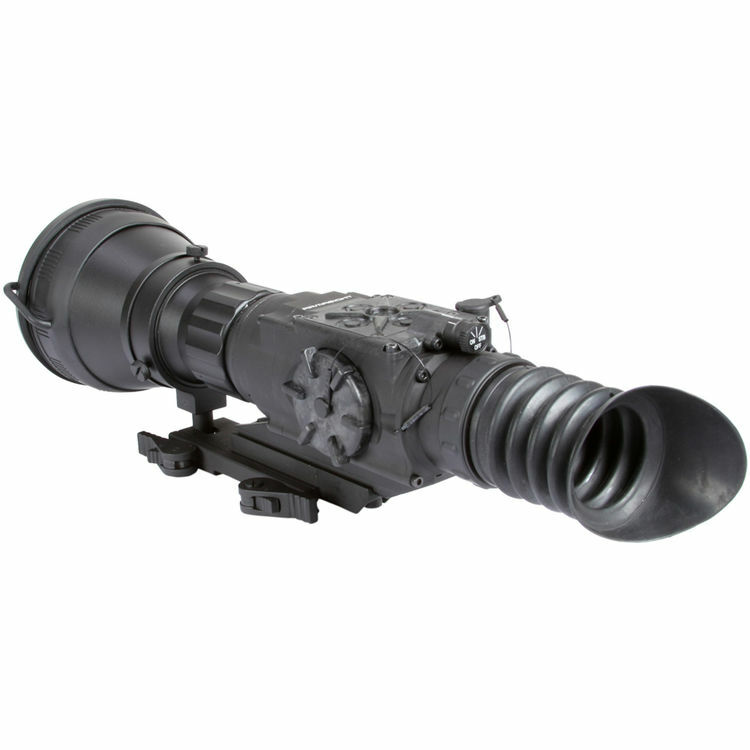 To withstand the rigors of the battlefield, this device is designed to handle extreme temperatures and offers water-resistant and impact-resistant performance. 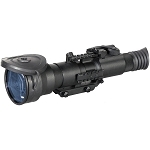 It is mountable on Picatinny or Weaver rails and detachable via the included quick release mount. 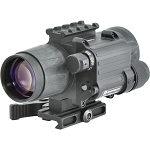 The built-in short Picatinny/Weaver rail on the right side serves as an accessory or IR mounting point. 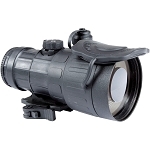 For comfort and ease of use, the device also has a wide winged eyecup, knurled knobs, and rings. 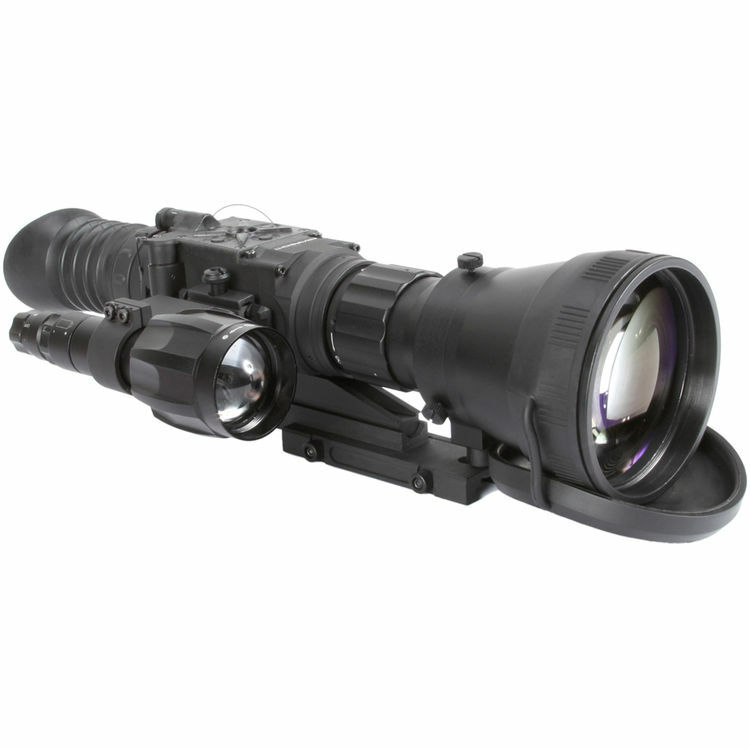 This digital night vision riflescope is accompanied with a comprehensive list of includes that provides you with all that you need to mount and use it.